Did you know that closed captioning dates back to 1970s’ government programs? Or that the first reflective-glass captioning devices used in movie theaters were modeled off of bike helmets? Lipreading Mom recently interviewed the pioneer of cinema captioning technology—Larry Goldberg. Known as the inventor of rear-window captioning theater technology, Goldberg is director of the Carl and Ruth Shapiro Family National Center for Accessible Media (NCAM). He shares his wealth of knowledge about cinema captioning. Explain the history of rear-window captioning and how the device was invented. Ever since WGBH first started captioning TV shows in the early 1970s, we heard from deaf and hard-of-hearing people that they wanted to be able to watch captions in mainstream theaters. After all, the first formal media captioning began as “Captioned Films” funded by the Federal government – 16mm films with open captions circulated to deaf clubs all over the US. 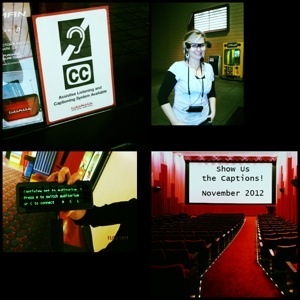 Then, the Tripod Films project began distributing open captioned prints to regular movie houses for special showings for the community. But, like closed-captioned TV, a solution that gave viewers a choice to watch captions, or not, was needed to gain wider acceptance. Rear Window was originally developed under a grant from the U.S. Department of Education in 1992-1995, as part of the larger “MoPix” project which also researched and promoted the use of video description in movie theaters. The complete history and other resources are to be found at: www.mopix.org. Our initial advisors came from the deaf and hard-of-hearing community as well as the film production and distribution industries. The idea came from the little mirrors that bicyclists wear on their helmets or glasses to see behind them, as well as the heads-up displays the military uses for their pilots. How was rear-window captioning (RWC) first introduced in theaters? Were theaters receptive to providing RWC devices in the beginning? Rear Window was first introduced to the exhibition community during field tests at the General Cinema theater in Brookline, MA (the AMC chain eventually bought General Cinemas) and at the Langeley IMAX Theater and the Air & Space Museum in Washington, DC. These field tests with consumers were conducted in 1993-1994. A patent was filed and was awarded in 1996. Commercial theater chains were at first wary of the new technology in part because there was no guarantee that the Hollywood studios would add the necessary data to their films for driving the Rear Window system. And the studios didn’t want to commit to captioning unless there was an installed base of systems. It look a bold leadership move by General Cinemas to break the logjam by agreeing to install systems in LA and Boston – and that kicked off the cooperation by studios. Interestingly, despite the initial hesitation on both sides, once top managers in Hollywood and at the theater chains tried out Rear Window, most felt it was an elegant solution to meet growing consumer demand. But cost was always a factor to be considered. There are now other portable captioning devices (CaptiView, Sony Entertainment Access Glasses). How have these devices affected the demand for and interest in RWC? Once the staff at WGBH’s National Center for Accessible Media (NCAM) proved there was a real market and a real demand for discrete caption viewing systems, it was inevitable that competition would grow. We are proud of the fact that we developed the concept of “closed captioning” in movie theaters, and that we put hundreds of hours into creating an open, public digital cinema captioning standard that anyone can use. We believe that deaf and hard-of-hearing moviegoers should have a choice in how they enjoy movies, and while we know that Rear Window is the preferred choice of many, new options for users are a good thing. Some users like RWC, some like CaptiView or Sony’s glasses – that’s what’s great about the choices innovative technologies give you – and we see other options coming down the road soon. So, although some movie chains have opted for new alternatives to RWC, we hope the voice, and choice, of the consumer will be heard by theater managers and executives all over the country. What do you envision for the future of RWC? Rear Window will continue to be the best choice for many venues, based on the low-tech nature of the display device (just a piece of plastic really, with no need for wires or batteries) and the fact that Rear Window solved the near-focus, far-focus problem from day one. No need to readjust your eye’s depth of field, due to the nature of the reflected image. So, while some of the new devices are more portable, and can extend to more auditoriums in a multiplex without the need for additional LED datawalls like Rear Window, Rear Window will continue to be made available to any conventional or specialty theater who is interested. The equipment is always available, is fully compatible with both analog and digital cinema systems, and… stay tuned for an upcoming announcement about the license fees we have historically charged to support our development efforts. We expect to make a big change soon and will announce it at ncam.wgbh.org as well as on our Twitter feeds and Facebook page. Please provide brief information about yourself and any other pertinent information related to captioning. Everyone at NCAM loves technology, and as a non-profit organization driven by our mission, we will embrace any new technology that helps our friends in the community and industry. Our relationship with media producers gives us an opportunity to extend our 20-year history in media access R&D into every possible platform – mobile, online, second-screen, in-the-air and on-the-ground. We like to think of ourselves as solution providers, and if those solutions come from the brains of other companies, other innovators, other countries – we promote them as much as what comes from our own labs. Plus, because WGBH has been providing captions since 1972 (and video descriptions since 1990), we have very close friendships with members and leaders of many communities – so we like to think we’re pretty in-touch with what’s next on everyone’s wish list. 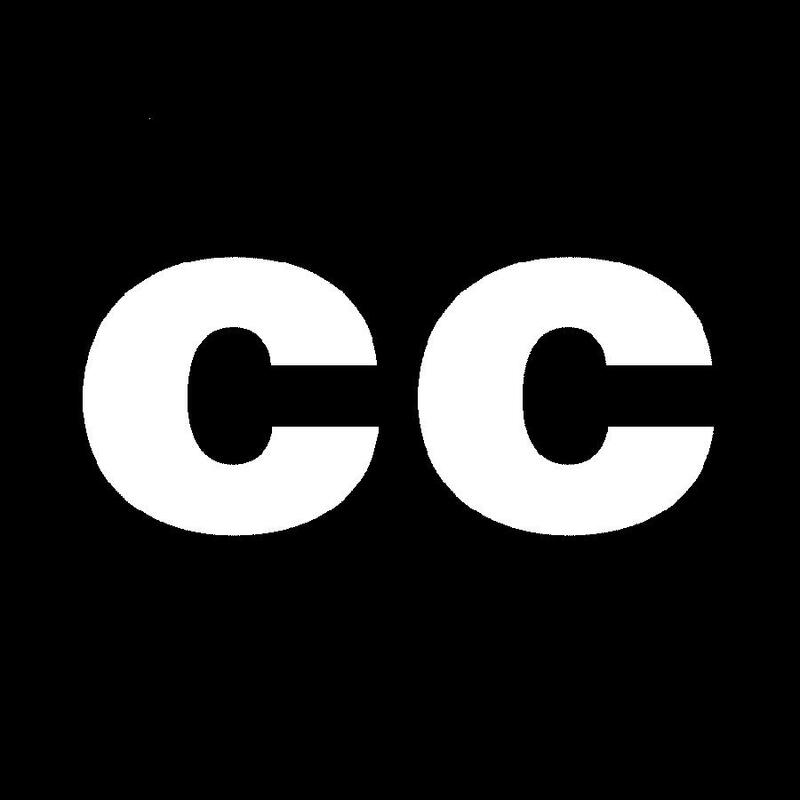 Join Lipreading Mom and CCACaptioning in its mission to make all video content captioned. Learn more on the Lipreading Mom Captions Campaign page. Sen. Tom Harkin (D-IA), long-time champion of the rights of people with disabilities and author of the Americans with Disabilities Act, has introduced new amendments to the ADA and to the Air Carrier Access Act to expand access to media. How does Larry think this innovation will impact captioning advocacy moving forward? The glasses are very painful. Complained to the manager that it was so painful we wanted our money back. He gave us passes to see another film, using the same painful glasses. How dumb was this manager! Did you know all the films they show in the theatres are already captioned and they think this is the best option. They are just buying glasses so that hearing people don’t have to be bothered by those pesky open captions. This is not a doable answer! Not a good technology because watching captions on seat-based device or glasses is more straining on our eyes rather than the captions on screen-based screen. 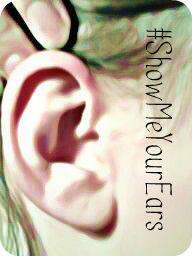 Hearies are making money out of people with hearing loss without consulting us for feedback – why? Hearing Owners of theaters think it is a wonderful innovation. I did ask one if he did watch the screen with the glasses and no sound. He refused to try it!!! We do not appreciate Larry Goldberg as the pioneer because he is a hearie and does not understand how we DEAF people suffer from watching the seat-based captions!